The great thing about running is the fact that you do not have to define yourself as a specific type of runner. As Shape Magazine explored, running really is an “every man sport.” There are so many different types of runners out there, so naturally, each type of runner needs equipment that will help them out! 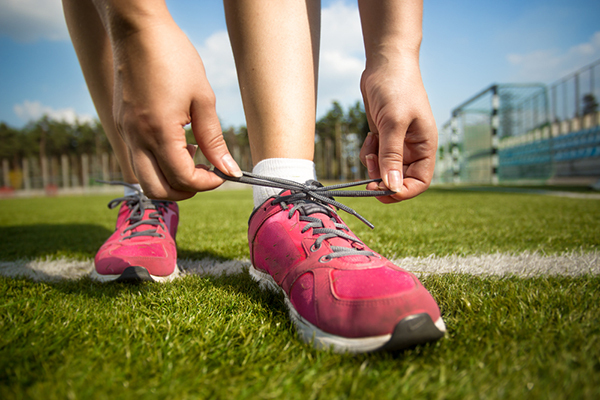 Let’s explore what each runner needs to perfect their sport. Barefoot runners are tough, you guys. As the word “barefoot” implies, these are the people who prefer to run as naturally as they were born — without sneakers or anything! 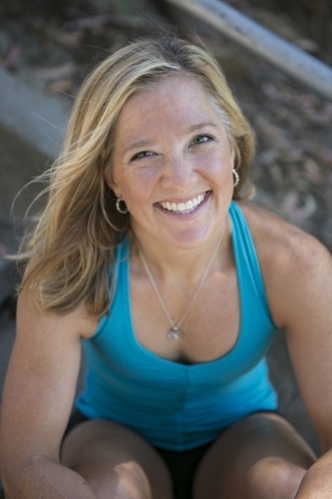 According to DietsInReview’s Kelly Turner, trainer and fitness journalist, barefoot runners need the proper shoes and socks. Check out minimalist running shoes to protect your feet — there are lots of choices out there. Some people are tough enough to handle the rain, sleet, and snow. If you are one of these awesome people, make sure you layer — something that is not a natural thought before you head out on a run. Also, consider a hat and a water resistant jacket if you live in a rainy part of the country. 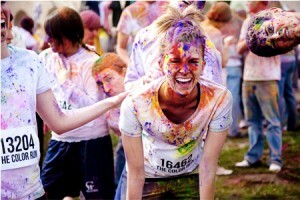 A client came to me not long ago and said she was planning to do a Warrior Dash event with her daughter. She wanted to know if I thought she could do it. Would she be able to participate with knees that didn’t let her run very fast or very long? My response was the running was the least of her concerns when it came to an obstacle course type of race. I told her I wasn’t worried about her at all because I knew she was strong, fit and capable. I knew months of functional fitness training (plus clean eating!) would get her through the race just fine. Mountain Climbers: You many not be climbing an actual mountain but you will be climbing. Using your hip flexors and core will be key in tackling walls and crawling challenges like Road Rage. So you want to run a race. Sure, there are probably a number of local runs in your home town, from a charity 5K fun run to full and half marathons. But if you’re going to put in the time to train to run a race, why not commit to running one to remember? There are dozens of races held in fun and unexpected location and with themes that will make the whole experience even more fun, and unforgettable. This weekend I’ll be pedaling 18 miles around Portland, OR, in the Worst Day of the Year Ride, a bike event scheduled for the weekend that has historically had the worst weather each year. I’m hoping for sun and temps in the 70s; it’s looking more like rain and snow in the 30s. Sounds pretty miserable, right? 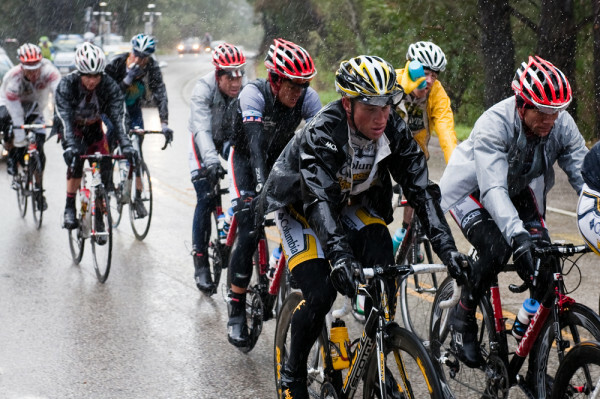 So why do so many people sign up for this ride, and sporting events like it? To remind ourselves that bad weather isn’t a good enough reason to stay inside? To get out of our comfort zones? To check another box on the bucket list? Whatever the reason, if you register for a ride you’re bound to find like-minded souls out there, sweating and suffering right alongside you. Apparently people like to get muddy. Well, they like to get muddy if they get a medal for it, at least. Adventure racing has exploded in the past few years. People are rising from the couch and willing to get in their cardio more than ever. 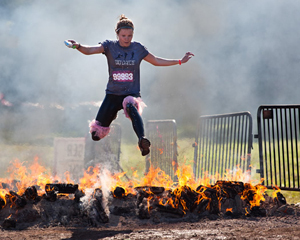 The Warrior Dash is one of the fastest growing adventure race events in the world. The Warrior Dash is an extreme 5K race with obstacles. The first event took place in July 2019 in Joliet, IL. 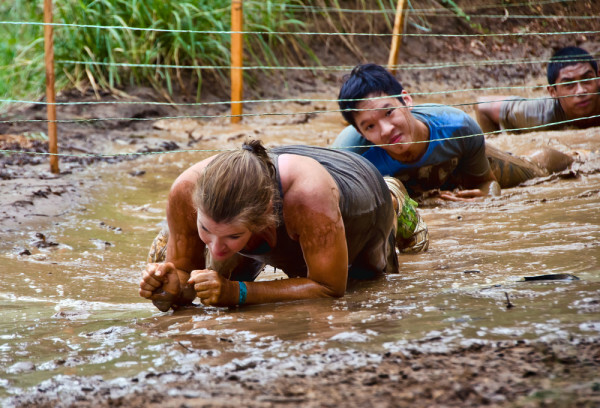 Those first 2,000 participants took on the first ever obstacle laden race course and spread the word. That word spread like wildfire! In 2019, more than 33 Warrior Dashes took place across the globe with more than 700,000 participants. This year the organization anticipates hosting 65 worldwide events and welcoming more than 1,000,000 racers. The holidays can be a stressful time for sure. That’s why my family and I make sure we de-stress with a holiday run that our community coordinates every year. It’s a five mile run that takes you throughout the neighborhood. So how does it help with de-stressing? For one it brings my family together, well mainly me and my cousins, because we all are working towards one thing – making it through the run alive! Hehe. It also becomes a team effort by training together, and helping each other stay motivated leading up to the run. Of course there are those moments where work gets in the way, someone needs to holiday shop or run errands, or kid stuff gets in the way, but it’s the end result that’s rewarding and the journey that we took together. The holiday season encompasses November, December and January, and throughout these months a lot of drinking, eating and celebrating occurs. My number one goal for the holiday season is to get through it without gaining weight. This year, I have taken it upon myself to start a new tradition in my family along with all the drinking, eating and celebrating…… we plan to run! Racing during the holiday season is a great motivator to keep on track with training and healthy eating. With scheduled races throughout the holidays the excuses not to run or eat healthy become less likely to rear their ugly head. First off, I hate paying for a race then not putting my best foot forward or worse yet, not running it at all. Plus this year I have recruited my husband making the races a family tradition so I don’t want to let him down or vice versa. Our new tradition started with a Virtual 5K Turkey Trot on Thanksgiving. We chose a virtual race because I was cooking Thanksgiving by myself and my time was tight. Unfortunately, Chris was sick and could not participate in the virtual run but I still got myself out there at 10 am!! I ran my virtual 5K in 28:28 and a tradition has begun which Chris will participate in next year. The accomplishment of getting out and running before eating a huge turkey dinner felt fantastic, plus the calorie burn helped to lessen the guilt associated with all the over indulgences from dinner….maybe we will make it a 10K next year! Bundle Up for January Marathons Around the U.S.
A January marathon means runners can’t slack off during the holiday season. Training must persist during the endless opportunities to feast and curl up by the fire. 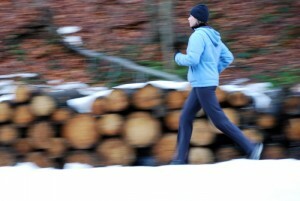 We all should run a January marathon! While the country gets cold and busy, there aren’t a ton of races, but what the calendar lacks in quantity, it more than makes up for it in quality. January presents some of the nation’s best races. 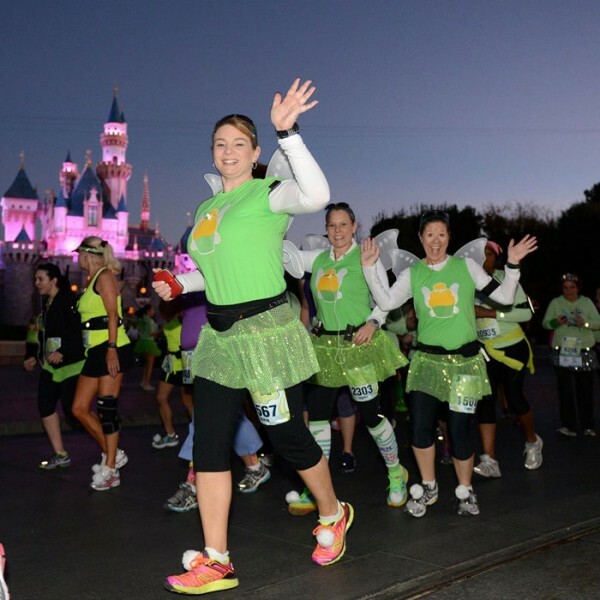 Billed as the most magical 26.2 miles on earth, the Disney marathon has a course like no other. All four theme parks are included in the races course. 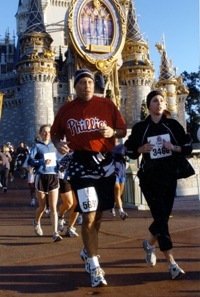 Runners will travel through Epcot, the Magic Kingdom, the Animal Kingdom, and the Hollywood Studios. The course is lined with entertainment and support as well. Finishers earn a well deserved Mickey Mouse medal as they cross the line. It wouldn’t be Disney if the race didn’t offer even bigger options as well. The marathon is the final race of a major race weekend. The Disney half marathon is the day before and for those up for the ultimate challenge, The Goofy Challenge is presented. Runners can attempt to run the half marathon on Saturday, earn their Donald Duck medal, and then lace up the next morning for the marathon. Those who complete the 39.3 miles earn an additional Goofy medal. Two races, three medals, and a whole lot of bragging rights! Thanksgiving is full of traditions. The turkey, the pie, the stuffing, and the stuffing of bellies are all synonymous with Thanksgiving. Thankfully a growing tradition of Thanksgiving Day foot races is sweeping the country. More and more feasters are burning those calories before the tryptophan takes over and they become overfed couch dwellers for the afternoon. Here are some of the best turkey day races the nation has to offer. 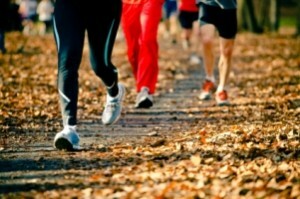 Start a new tradition with your family and get a run in before you gobble. Be a part of American history with this race. This is the oldest continually running footrace in North America, it’s even older than the Boston Marathon. The 8K race brings more than 14,000 runners out in the brisk morning air. Each runner is asked to bring 2 cans of non-perishable food, making it a huge charity opportunity as well. What a way to celebrate the holiday! The Manchester Road Race began in 1927 with just twelve runners. Today the 4.748 mile race welcomes over 15,000 runners and walkers. This race is celebrating its 75th anniversary and continues to see elite runners, professionals, and Olympians every year. The race also welcomes amateurs all the way down to their “mall walker” category. This long standing race is accustom to seeing running superstars like nine-time champ Amby Burfoot toe the line. The historic course and the supportive crowds are what have kept this race in business for so many years.